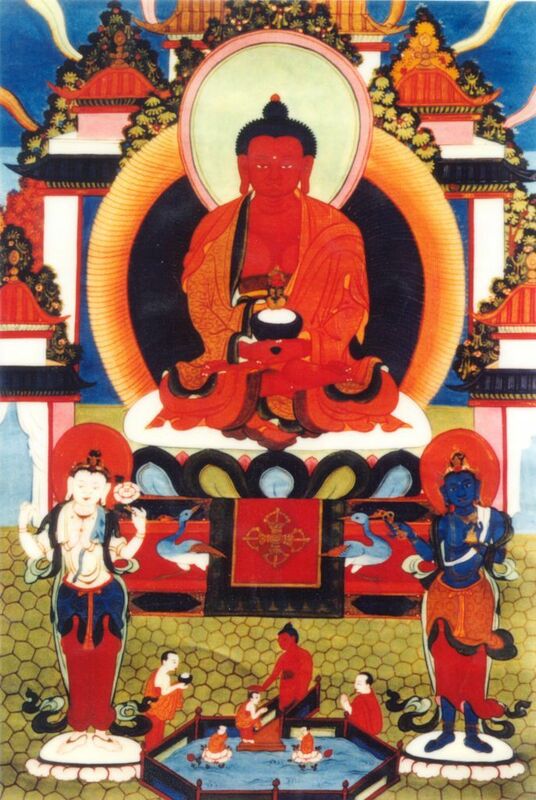 These are the Full and New Moon days Rinpoche asks everyone who has taken his Phowa teachings to do practices. Files are in Adobe Acrobat format. You can download a free version of Adobe Acrobat Reader here. We have four major kinds of suffering in our lifetime: birth, sickness, old age and death. For those who are already grown up, birth suffering is over. For sickness suffering there are many helpers (our family and relatives, friends and community) and all different kinds of treatment. For old age suffering, no matter what different kinds of treatment we do to our body, we are going to get older each second, each hour, and each day. Ultimately, we cannot make ourselves younger. Death is our biggest suffering, and our biggest mistake is not to think about it. Our family members, relatives and friends cannot join us at our death moment. We are alone with the results of the positive, virtuous, good deeds we did in our life. These results are all that is with us, and is our self-protection. Phowa practice is the best self-protection. It is the best way to be free from death suffering. It is the easiest way to reach Buddha Amitabha’s Pure Land, and the quickest way to reach enlightenment from Amitabha’s Pure Land. 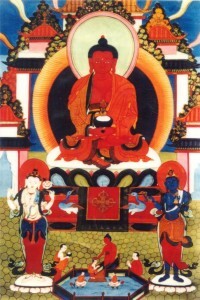 Ayang Rinpoche is a Phowa master highly recognized by many well-known Tibetan Buddhist lamas. Japanese scientists, using an EEG machine, also confirmed their findings. Motivated to benefit all beings, Ayang Rinpoche extensively travels the world teaching Phowa. 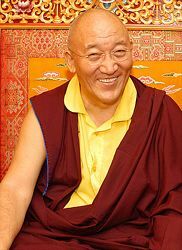 Given by His Eminence ‘Choeje’ Ayang Rinpoche during the Phowa-course at Garchen Dharma Institute in Munich, Germany, May 2003 and at Amitabha Foundation Düsseldorf, Germany, June 2003, latter teaching being interpolated [within square brackets]. You can download the complete file here in MSWord format, here as PDF or you can just continue reading.